Mumbai-based Shop101, a mobile storefront and commerce platform for sellers, has raised Rs 80 crore ($11.37 million at current exchange rates) in a Series B funding round led by venture capital firm Kalaari Capital and consumer goods giant Unilever’s investment arm Unilever Ventures, a company statement said. Existing investors Stellaris Venture Partners, Vy Capital and Ramakant Sharma, co-founder of home decor startup Livspace also put in money, the statement added. Shop101, run by O(1) India Private Limited, will use the latest capital to strengthen its team, scale the supplier network and enhance its technology platform, the press note added. “Social media as commerce platforms have the ability to disrupt traditional e-commerce players by offering personalised shopping experiences. Given India's diverse population, social commerce will be the next great opportunity to reach new internet consumers,” Vani Kola, managing director at Kalaari Capital said. The latest round of funding comes five months after Shop101 raised $5 million (Rs 34 crore then) in a Series A round led by Stellaris Venture Partners. The venture was founded in 2015 by IIT Kanpur batchmates Abhinav Jain and Aditya Gupta. The three-year-old firm helps small merchants and sellers showcase their products online by helping them create a mobile storefront. “Through our model, we are creating an alternate distribution channel and reach the next 500 million users with more than 70% of our sales coming from smaller towns and cities. We have grown over 50% month-on-month over the last year and empowered entrepreneurs across the country with reliable and scalable technology, extensive range of products on the supply platform, pan-India logistics and payment solutions,” said Jain, co-founder and chief executive of Shop101. Since inception, the company, which claims to have more than five lakh registered sellers, and has disbursed and dispatched more than 10 lakh orders on its platform worth more than Rs 100 crore in gross order value, according to information on its website. A number of ventures in the social commerce space have recently attracted investor interest. 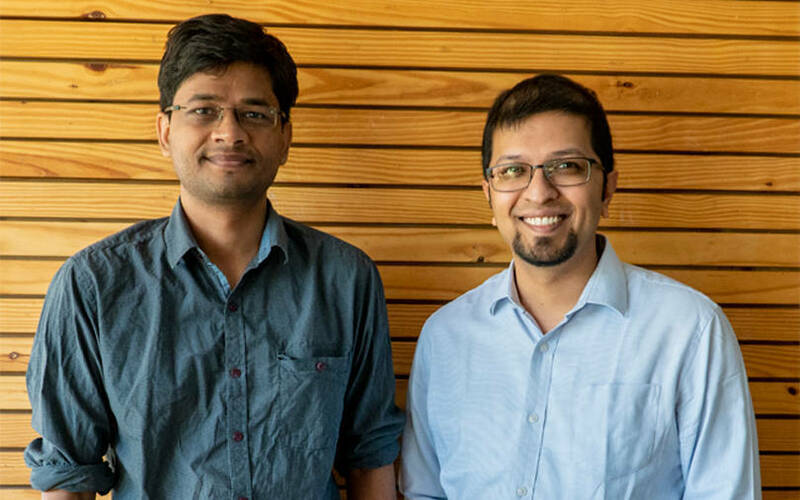 Earlier this month, Indore-based B2B platform ShopKirana raised $2 million (Rs 14 crore) from Info Edge, the parent company of job portal Naukri and other investors. In November, Bengaluru- and California-based Meesho, an online marketplace for resellers, raised $50 million (Rs 365 crore then) in a Series C round of funding from China's Shunwei Capital, Russian billionaire Yuri Milner’s DST Partners and RPS Ventures, a fund set up by former SoftBank managing director Kabir Misra. In September, B2B e-commerce platform Udaan raised $225 million (Rs 1,593 crore) in a Series C funding round from existing investors Yuri Milner’s DST Global and Lightspeed Venture Partners. In August, VCCircle had reported that Wooplr Technologies Pvt. Ltd, which enables social commerce via an eponymous online fashion portal, was in talks to raise up to $20 million from a mix of Indian and Chinese investors. In the same month, ShopX, a B2B e-commerce platform for small retailers, raised $35 million (Rs 240 crore) from Hong Kong-based Fung Holdings.